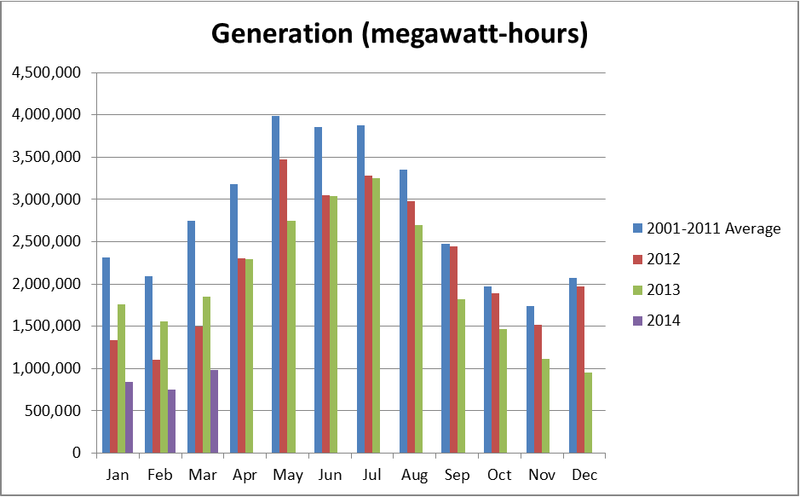 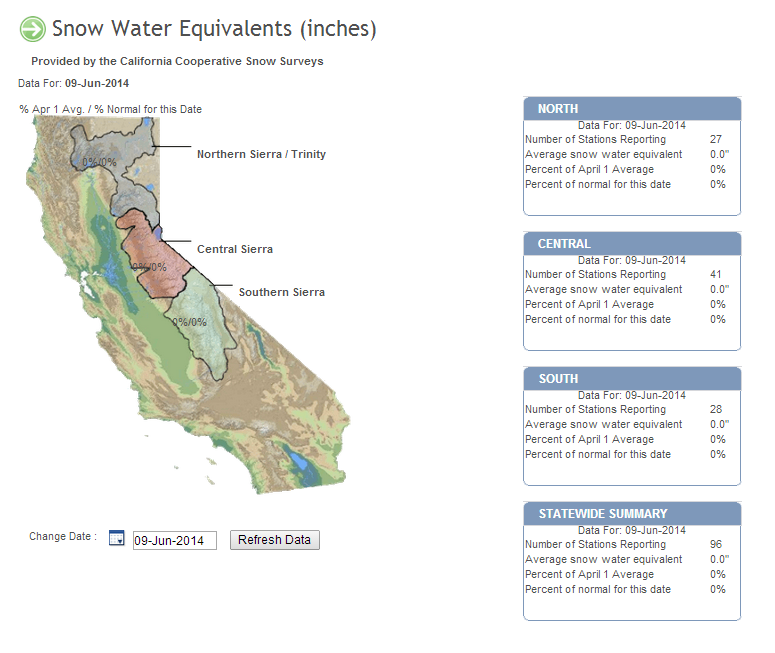 Monitoring stations indicate California snowpack is effectively at zero. 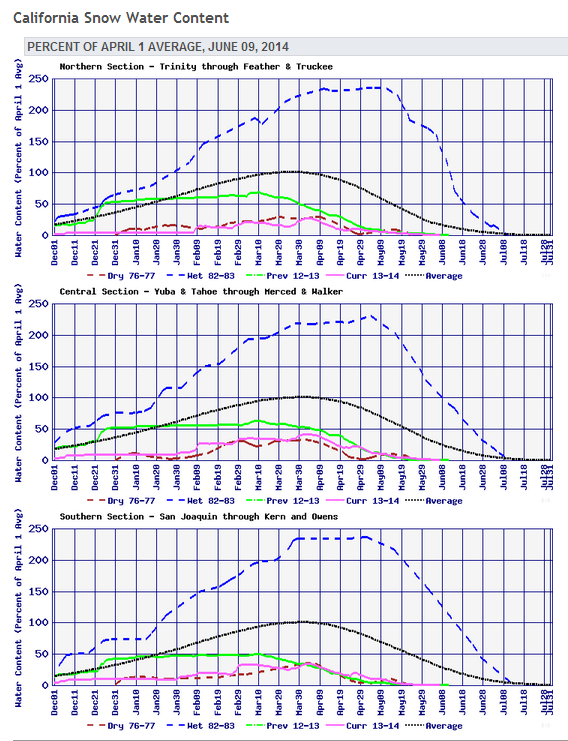 These graphs show the current and historic percent of the April 1st average snowpack. 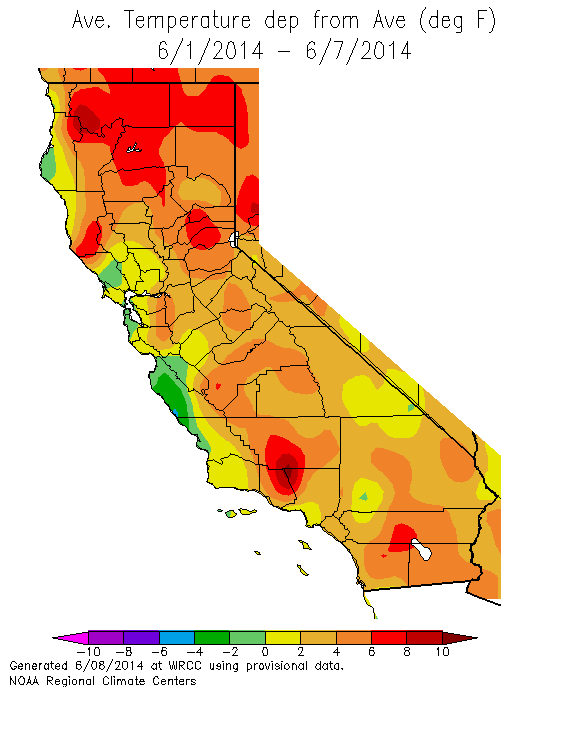 According to the graph, snowpack is generally about 20% of the April 1st average by this time of year, but is approaching zero.